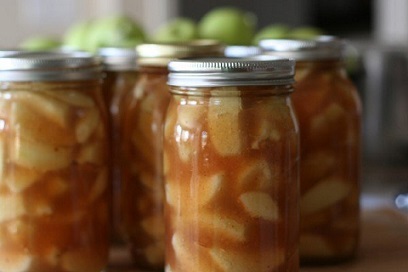 Canning apples for Canned Apple Pie Filling is not difficult, nor is it time consuming. Once done, you can bake apple pies in a jiffy all year long. Use this recipe for making Apple Crisp, or use it as a side dish served with pork or as a topping for pancakes and French Toast! If you have access to fresh apples at a good price like I do (Washington State), making homemade apple pie filling will save you time and money once the job is complete. The bonus? You will have a quality apple pie filling without preservatives or artificial flavor enhancers. 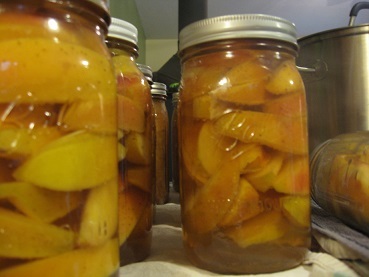 Sterilize canning jars by boiling them in a large pot of water; boil lids and rings in a small pan of boiling water. Enjoy your canned apple pie filling and the company of those you share it with! Did you know? 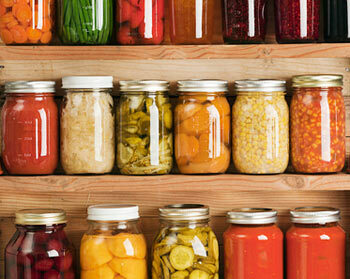 In 1809 Frenchman Nicholas Appert developed the method for preserving food that we call 'canning.' He used glass jars sealed with corks held in place with wire. In 1810 in England, Peter Durand patented the use of tin coated cans instead of glass.